Tom & Michaella review the research at the Old Hay Bay Church during Season 4 of The Other Side. 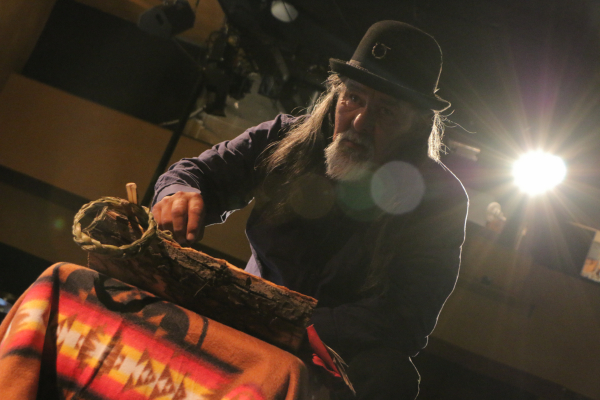 Elder Tom Charles prepares at the South Simcoe Theatre during Season 4 of The Other Side. A behind the scenes look at the video village during the paranormal investigation at the Glenhyrst Art Gallery during Season 4 of The Other Side. Team leader Jeff Richards takes a quiet moment during Season 4 of The Other Side. 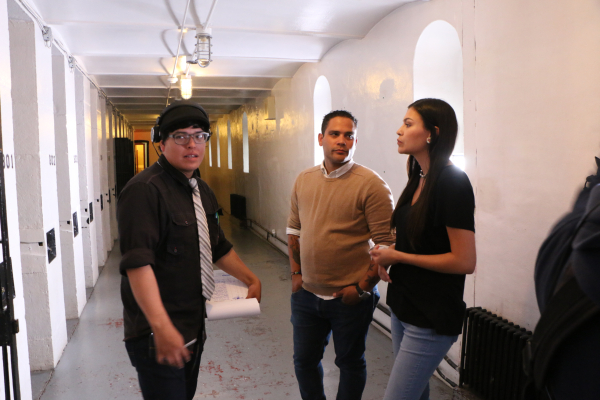 Director Francis Laliberte speaks with Jeff & Michaella in a former jail during Season 4 of The Other Side. The team and crew wrap on Season 4 of The Other Side. Michaella Channon, Jeff Richards & Tom Charles take a moment at the sacred fire at a long house in Kanata Village during Season 4 of The Other Side. Michaella Shannon confers with director Francis Laliberte at an old mill during Season 4 of The Other Side. The team takes a look from a high vantage at the Grand Theatre in London, Ontario during Season 4 at The Other Side. Elder Tom Charles takes a moment to regroup during an intense investigation during Season 4 of The Other Side. Michaella Shannon talks with the property owner where portals might be cause of inexplicable activity during Season 4 of The Other Side. The team consults on the site of a former mental hospital during Season 4 of The Other Side. Michaella & Jeff at Fort Henry in Kingston, Ontario during Season 4 of The Other Side. 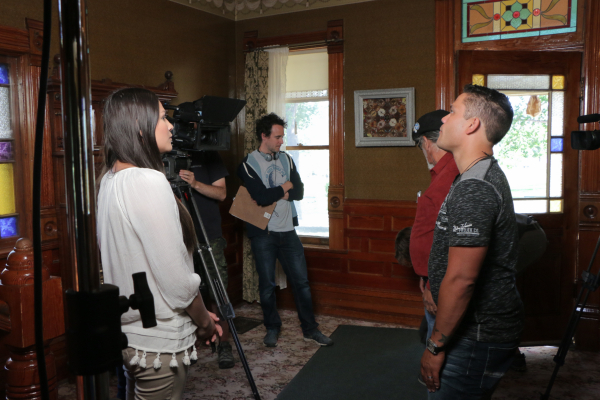 Michaella, Jeff & Tom confer during an intense paranormal investigation in Red Deer, Alberta during Season 4 of The Other Side. More info for press can be found here.